BARBERVILLE, F.L - Feb. 26, 2017 – Brett ‘The Jet’ Hearn picked up his tenth DIRTcar Nationals victory with the Super DIRTcar Series at Volusia Speedway Park on Saturday night. The veteran driver from Sussex, N.J. took the lead from the start and never looked back to take the $5, 000 payday in the 40-lap finale, also staking claim to the DIRTcar Nationals championship. BARBERVILLE, F.L - Feb. 25, 2017 – The hot shoe out of Phelps, N.Y., Justin Haers, picked up his second career DIRTcar Nationals victory after holding off the 22nd starter, Matt Sheppard in Friday night’s 30-lap Super DIRTcar Series feature event at Volusia Speedway Park. 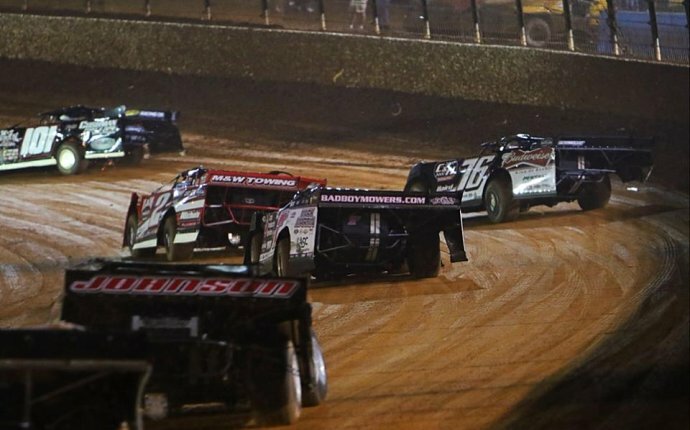 CONCORD, N.C. – October 28, 2016 – Matt Sheppard won his eleventh Super DIRTcar Series feature in style by setting a new series record for the most wins in a season Friday night at The Dirt Track at Charlotte during the Bad Boy Off Road World Finals. BROCKVILLE, ONT. –Oct. 15, 2016 – Erick Rudolph made a clean sweep during Brockville Ontario Speedway’s Fall Nationals as he picked up Friday nights DIRTcar Small Block Modified feature and Saturday nights Super DIRTcar Series feature, both in his No. 62 Small Block Modified. OSWEGO, N.Y. – Oct. 9 2016 – Stewart Friesen is no stranger at doing the NAPA Auto Parts Super DIRT Week roof dance, which he did as he picked up his fifth NAPA Super DIRT Week victory Sunday night at Oswego Speedway. Friesen closed the books at Syracuse with a win last year and made history this year with the first ever dirt win at Oswego Speedway in the Halmar International No. 44 Big Block Modified. FONDA, N.Y. - Sept. 24, 2016 – Jimmy Phelps battled hard for his victory Saturday night in the Mohawk Valley 100 at Fonda Speedway as he took the checkered to grab his second Super DIRTcar Series win of the year and his first ever victory at Fonda Speedway. @Craig Milkowski: Having speed at Churchill was a negative today looking at the charts. You don't see many days with results like that on a dirt track.